New York Rangers President and General Manager Glen Sather announced today that the club has acquired defenseman Erik Reitz from the Minnesota Wild in exchange for forward Dan Fritsche. Defenseman Erik Reitz had found a full-time NHL roster spot with the Wild this season. He wore No. 2 in Minnesota but will wear No. 4 for the Blueshirts. Reitz, 26, has appeared in 31 games with Minnesota this season, registering one goal and one assist for two points, along with 41 penalty minutes. He was tied for fourth among Minnesota defensemen in goals (one), and tied for third on the club overall in penalty minutes (41). Reitz also ranked second on the Wild with 58 hits. He notched his first NHL point with a goal on November 15 vs. Columbus. He also tallied his first career assist on November 22 vs. St. Louis. The 6-2, 215-pounder has appeared in 37 career regular season contests with Minnesota, recording one goal and one assist for two points, along with 45 penalty minutes. He made his NHL debut on April 7, 2006, at Calgary. Reitz has also skated in two career post-season contests with Minnesota. In 363 career AHL games with the Houston Aeros, he registered 35 goals and 118 assists for 153 points, along with 721 penalty minutes. He established an AHL career-high with 26 assists and tied his AHL career-high with 34 points in 49 games last season. He also set his AHL career-high with nine goals during the 2006-07 season. Reitz was named the Ontario Hockey League’s Outstanding Defenseman and an OHL All-Star First Team in 2002 as a member of the Barrie Colts. Additionally, he was named to the Memorial Cup Tournament All-Star Team in 2000. Internationally, he represented Team USA in the 2002 IIHF World Junior Championships, collecting one assist and 12 penalty minutes in seven games. 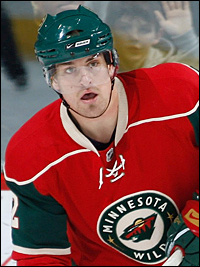 The Detroit, Michigan native was originally Minnesota’s sixth round choice, 170th overall, in the 2000 NHL Entry Draft. I hear that Reitz is a stay at home, physical 6th or 7th Dman. 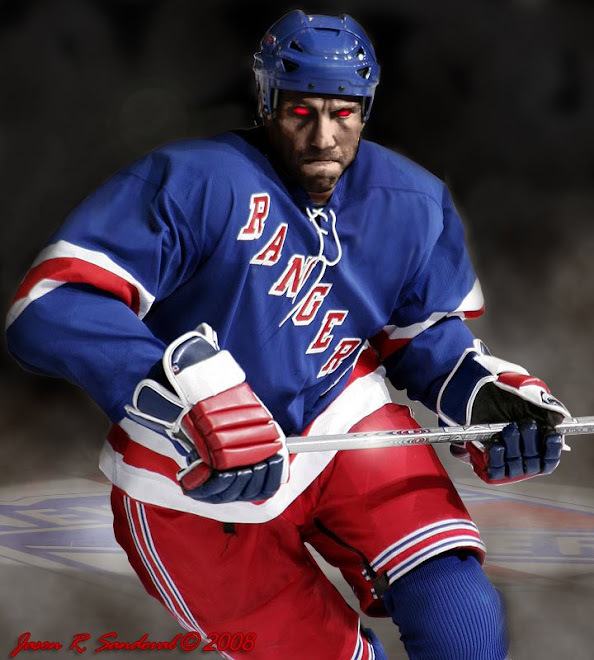 While we could definitely use one, if Reitz makes does see ice with the Rangers... I have faith that it will take Renney a maximum of 3 games to water this guys game down to the point where he fits right in with the rest of the poke checking softies. I say keep this guy on the ice with guys like mara, staal, girardi, callahan, and prucha. Not many of them really hit hard, but they try at least. Maybe can preserve any physical nature he might have that way. LOL J....you are probably right. HERE'S THE REALITY PEOPLE....WE NEED MORE THAN THIS TO SECURE OUR BLUELINE... someone secure in themselves, big and hitting with offensive capabilities. Jesus. A trade of Gomez for Vinny sounds okay to me. Update: Courtesy of Rick Carpinello.. It appears the Rangers like Reitz's toughness at practice today. You tube the guy and you'll find that, apparently toughness means taking the body, lots of shoving and taking a beating while wearing a visor. That being said, I like the guys spirit. Eventhough he can't really fight and punches like a girl(see: Voros, Aaron), he doesn't seem shy about playing with attitude or answering the call after a hit... but you just know something's wrong when the guys scouting report says "lacks mobility and COORDINATION.."
WTF? Wouldn't you kind of need coordination to get drafted or be a professional athlete. Also makes you wonder why the wild didn't just claim Fritsche off waivers for cheap rather than making a trade if Reitz was really worth something? I think Minny winds up getting Fritsche for 350k... sounds like a good deal for them. "I Don't Know What Happened...."
Tweedle Dee and Tweedle Dumb! Fire Tom Renney & Fire His Special Teams Coaches!